We're nearing the end of our alphabet challenge but never fear we still have some great books series and authors to share with you! My oldest son received the first two books in the Treasure Hunters series for Christmas one year from my husband's step mother and while Ian was not thrilled to receive a book for Christmas he did agree to give it a try... and found that he enjoyed the series so much we had to go and get the rest of the books in the series for him! Ian is not typically my reader so this was HUGE! I knew the series had to be good. A year or so ago my middle son was looking through the pile of books Ian was moving out of his room and "found" the Treasure Hunter books in the pile and he quickly read through them all. These fun books by James Patterson are perfect for young adults. In this adventure series, Bick, Beck, Tommy and Storm are trying to find their parents. 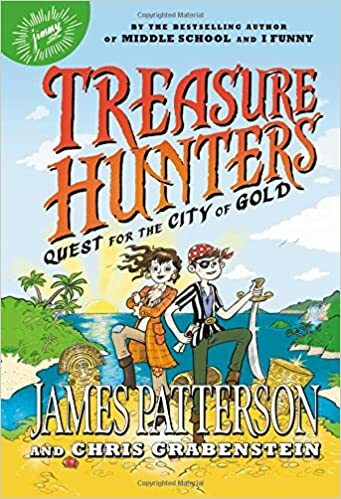 Their parents are treasure hunters and while their father went missing in a storm their mother was taken captive by a band of pirates. 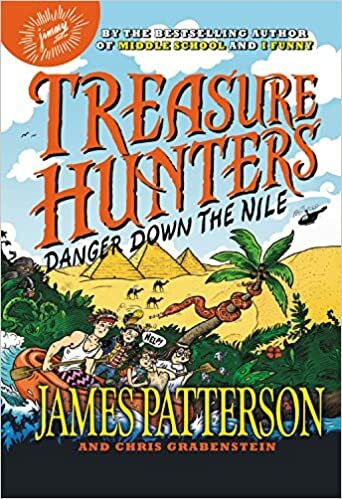 The siblings take over the family business of treasure hunter while seeking out their father and trying to keep up with the pirate's demands so that their mother may be returned to them unharmed. A fifth book was released in January and we can't wait to read it. I'm the evil Auntie that always gives books, but I usually give a toy with the book. It's funny though eventually I find something that intrigues them even among the most reluctant readers. Ha ha! That's me too! I just love books and I want to pass that love of reading on to all my nieces and nephews. I do think the right books make all the difference; even with the most reluctant readers. I always give books for birthdays and Christmas to my kids. They love it since it is not the only gift. These look like great books. I'll have to check them out. None of my children are the avid readers that I was as a child. I was always thrilled when we found a book they enjoyed. It is always a delight to see someone enjoy a book we've shared with them. Luckily my middle son is a voracious reader and is so easy to please but my other two are not avid readers and it is so hard to find books they enjoy so yes, I am thrilled when I find something they enjoy.